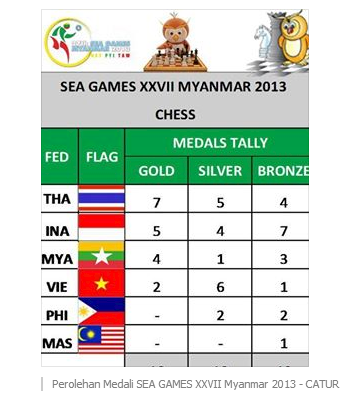 Peter Long on Chess: Last in SEA Games? Oops, Singapore with two players, and newcomers Laos also took part... but it also seems that Brunei and Cambodia did not make it. More pertinent perhaps is that it seems that in all forms of standard chess, the professionals of VIE, PHI and INA are clearly ahead of the rest and that MAS and SIN, perhaps now also being joined by rapidly emerging THA and MYA, are in the second group.